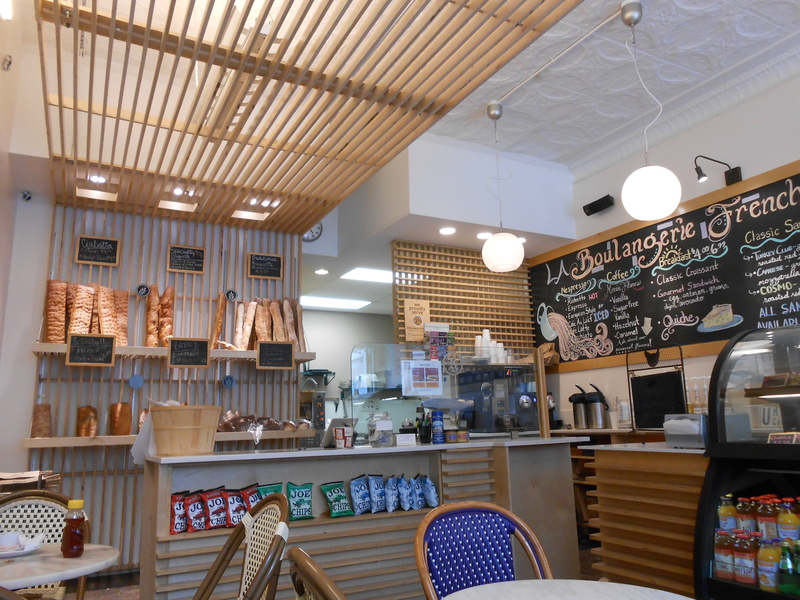 La Boulangerie is a French Bakery, Crêpe bar, and Cafe. 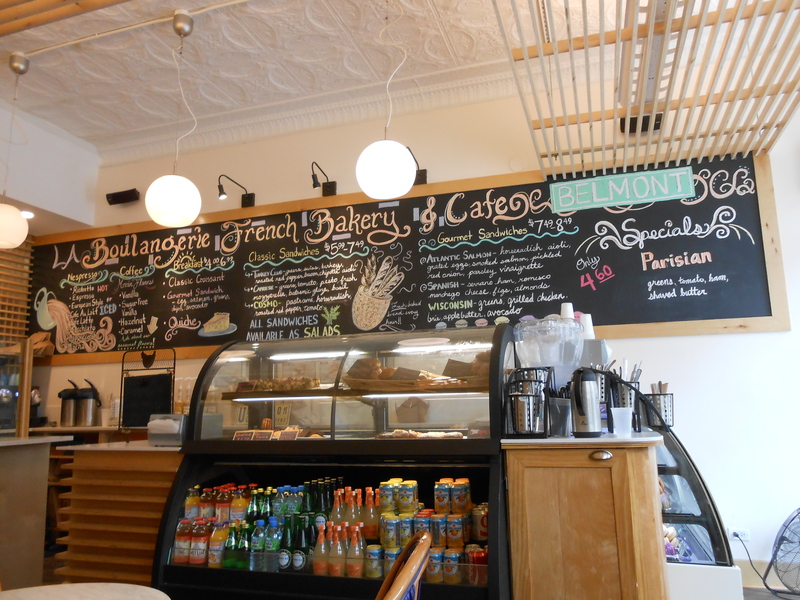 It’s located in Belmont/Boystown at 915 West Belmont Street a short walk from the Belmont Red/Brown line stop. A friend and I went on a hot day and were sad that they didn’t have any air conditioning but still ordered and sat down. She ordered a sandwich and I ordered a crêpe. 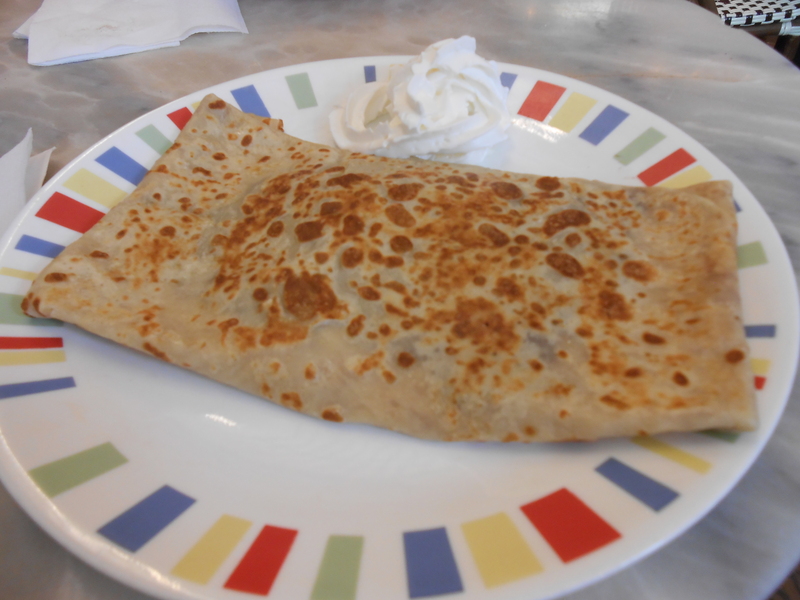 I ordered the Boystown crêpe which is Nutella, banana, whipped cream and almond. We sat by the crêpe bar and at the end of the bar is a spinning selection of condiments so I sprinkled powder sugar and nutmeg on top of my crêpe when it was complete. My friend also ordered macaroons before we left. The shop was nice and relatively peaceful. It became busy, and a little backed up in orders because there was only one man working.